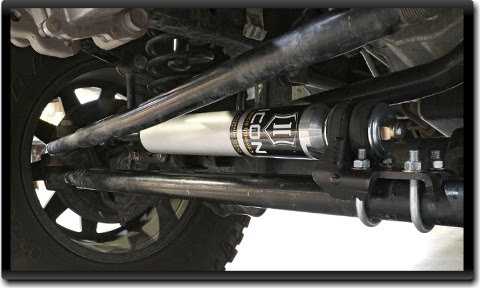 Fits 2007-UP Jeep JK 2WD / 4WD with ICON 3″ or 4.5″ suspension systems. High-clearance design reduces risk of damage. 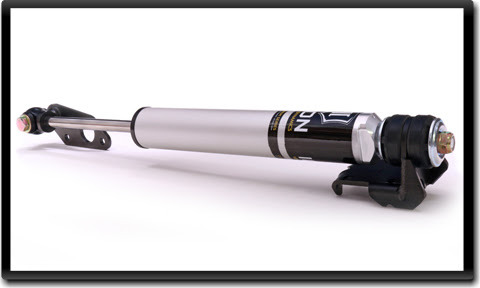 ICON 2.0 Aluminum Series rebuildable steering stabilizer shock. Increased steering damping ability over stock. Corrosion-resistant plated shock body with 5/8″ shaft. Protective shock boot included in kit (not pictured).